Wanda: Hi Sylvia; how’d you die? Sylvia: It wasn’t so bad. After I quit shaking from the cold, I began to get warm and sleepy and finally died a peaceful death. What about you? Wanda: I died of a massive heart attack. I suspected that my husband was cheating, so I came home early to catch him in the act. Instead, I found him all by himself watching TV. Wanda: I was so sure there was another woman there somewhere that I started running all over the house looking. I ran up to the attic and searched, and down into the basement. Then I went through every closet and checked under all the beds. I kept this up until I had looked everywhere. Finally, I became so exhausted that I just keeled over with a heart attack and died. Sylvia: Too bad you didn’t look in the freezer – we’d both still be alive. 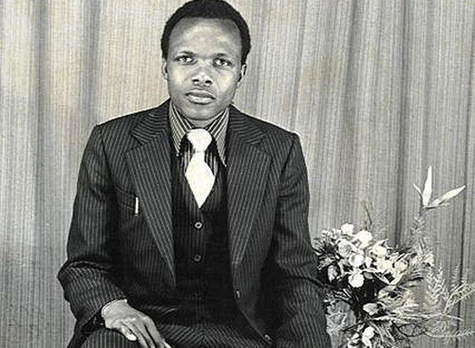 More than twenty years ago a Catholic man, Benedict Daswa was clubbed to death in a remote part of the Soutpansberg in South Africa for his religious conviction. You don’t have to be particularly religious to realise that, given his background, his accomplishments were nothing short of a miracle. His village was high up in the mountains near Thohoyandou in one of the most deprived areas in the country – a community forgotten by the rest of the world. Unemployed people wrapped in ragged clothes, scavenging children with empty eyes and scabby dogs roamed the dusty streets. Today, just a few kilometres from where Benedict Daswa was murdered, the Nweli Primary School stands as a monument to the seeds that this extraordinary man had sown in his community. The proud head teacher keeps an eye on his dedicated staff while the eager children absorb every word of their teachers. Across the street at the Assumption of Mary Catholic Church, women are busy preparing food for the countless children in the area who were left orphaned by aids. Benedict Daswa was the driving force behind the realisation of this haven. So extensive was this extraordinary man’s influence on this community that the local Catholic Church has sent a request to the Vatican to declare him a saint. Saint Benedict. Daswa’s case was sent to the Vatican’s Congregation for the Causes of Saints after he was declared “Servant of God” and diocesan-level inquiries were completed. If approved, Daswa would be on his way to being declared blessed, making him one step away from becoming the first South African-born saint. Benedict grew up in a traditionalist family from the small Lemba tribe who live mainly among the Venda people in the Limpopo Province. His real name was Tshimangadzo, but as a teenager he became one of a small group of Vendas who converted to Catholicism. He took the name Benedict after the sixth-century monk and Benedict Risimati, his catechist, who instructed him on his faith. He also made Saint Benedict’s motto his own – ora et labora. Pray and work. He soon realised that the practice of witchcraft was against his Catholic faith. From then on, both in his private life and publicly, he took a strong stance against this custom because he said it led to the killing of too many innocent people accused of witchcraft activities. After completing his studies to become a teacher, he returned to Nweli where he was, two years later, appointed head teacher. 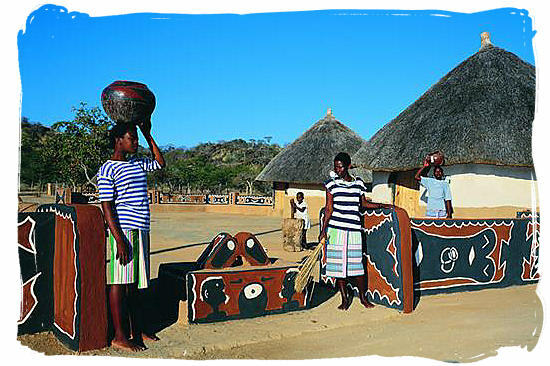 The local church is built with stones that Daswa gathered. Nweli’s teachers acquired their work ethics from him. He propagated highly controversial issues like telling men to assist their wives with household chores and childcare – something unheard of in those patriarchal communities. More controversial questions were raised when he opted to work rather than rely on witchcraft to bring him fortune. When the local soccer team put muti (traditional herbs and medicine) in their boots to win matches, Daswa trained a new team made up of young people who focused their efforts on a dedicated training program rather than believing in magical powers. This standpoint eventually led to his death. 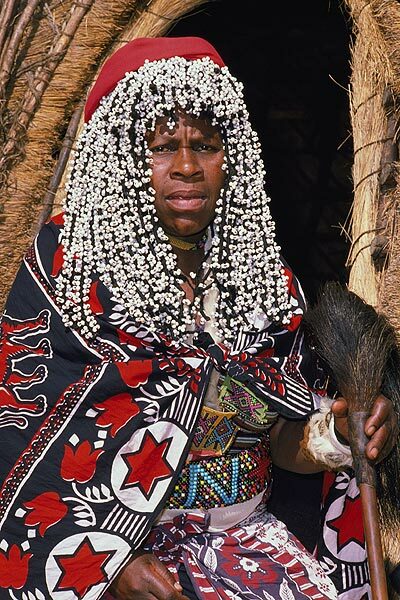 In 1990, after a series of unusual thunderstorms and lighting strikes caused the deaths of people in the area, a group of local men suggested hiring a sangoma (traditional healer) to determine the cause. Everyone contributed R5.00 (about £0.40/US$0.60), but Daswa refused. We have to think rationally; lightning is a natural phenomenon, he declared at the meeting. On the night of 2 February 1990, while driving home, he found his way blocked with logs across the road. When he stopped the vehicle and tried to remove the obstruction, a group of people emerged from behind the trees and began pelting him with stones. Wounded, he escaped on foot and ran to a woman’s home nearby. After members of the mob entered and threatened to kill her if she didn’t reveal where Benedict was, he came forward. The gang dragged him outside where he was tortured. Realising he was about to be killed, he made a final prayer – God, into Your hands… receive my spirit – before they finished him off, crushing his skull and then pouring boiling water over his head. His killers were arrested, but because the community was too frightened to testify, no one was ever convicted. … and that he helped to rid people of fears that prevent so many of us to stand up for what we believe. Start each meal by conspicuously licking all your food, and announce that this is so no one will “swipe your grub”. Reply to everything someone says with “That’s what YOU think”. Claim that you must always wear a bicycle helmet as part of your “astronaut training”. Declare your apartment an independent nation, and sue your neighbours upstairs for “violating your airspace”. Finish all your sentences with the words “…in accordance with the prophesy”. Wear a special hip holster for your remote control. Repeat the following conversation a dozen times: “Do you hear that?” “What?” “Never mind, it’s gone now”. Wander around a restaurant, asking other diners for their parsley. Demand that everyone address you as “Conquistador”. Pretend your computer’s mouse is a CB radio, and talk to it. HE WHO HAS A WHY? TO LIVE FOR CAN BEAR WITH ALMOST ANY HOW? My attitude to my circumstances very often dictates my actions as well as the end result. At some stage or another in our lives, we have all been touched by astonishing accounts of people who have risen above their circumstances. When I find myself in such a position, though, it is not always that easy to be objective about it. In his poignant book, Man’s Search for Meaning, Viktor Frankl (what an appropriate name!) describes his experiences in a German concentration camp. He shares the methods that he applied to carry him through this horrific ordeal and helped him find a reason to live. We who lived in concentration camps can remember the men who walked through the huts comforting others, giving away their last piece of bread. They may have been few in number, but they offer sufficient proof that everything can be taken from a man but one thing: the last of the human freedoms—to choose one’s attitude in any given set of circumstances, to choose one’s own way. According to him, when we are no longer able to change a situation – like an incurable disease such as inoperable cancer – we are challenged to change ourselves. Fundamentally, therefore, any man can, even under such circumstances, decide what shall become of him – mentally and spiritually. He may retain his human dignity even in a concentration camp. 3. By the attitude we take toward unavoidable suffering. We should live as if we were living already for the second time and as if we had acted the first time as wrongly as we are about to act now! Frankl concluded that the meaning of life is found in every moment of living. Life never ceases to have meaning, even in suffering and death. Frankl demonstrated this notion in a group therapy session during a mass fast inflicted on the camp’s inmates trying to protect an anonymous fellow inmate from fatal retribution by authorities. He offered the thought that for everyone in a dire condition there is someone looking down, a friend, family member, or even God, who would expect not to be disappointed. He came to the conclusion that a prisoner’s psychological reactions are not solely the result of the conditions of his life, but also from the freedom of choice he always has even in severe suffering. The inner hold a prisoner has on his spiritual self relies on having a hope in the future, and that once a prisoner loses that hope, he is doomed. Thoughts produce actions – look at what you’re thinking. control over is your attitude. like a stone that is thrown into a pond. Go forth … with love. Many years ago the most astounding thing happened to me, a miracle. It was so extra-ordinary that, for many years, I struggled with the question: Why did it happen to me? I was a young man living in South Africa, unmarried and my income was nothing to be envious of. Like any young man, I dreamt of my own house and so I bought a piece of land, a beautiful plot on which I had to pay monthly instalments. Every month the levies and taxes had to be paid as well. Shortly after that I got married and moved into a rented flat with my new bride. Then my pocket truly started to feel the strain: Flat rental, instalments on my loan for the plot, levies and taxes and all the usual added expenses that come with a wedding (furniture, honeymoon, ring, etcetera, etcetera…). My octopus was a house on the plot that I was still paying off – I constantly dreamt of my own house on that piece of land. When I saw a truck with a load of bricks or trusses, I felt the grip of this weight around my shoulders. Or when a building society dangled their mortgage rates with alluring advertisements in my face, I felt the tentacles tightening. My wife and I even went so far as having the plans drawn up. But, with the war going on between my income and liabilities, I just couldn’t imagine my dream house ever becoming a reality. So the situation dragged on until one day when I decided enough is enough and took the day off. With the building plans, bank statements and all the determination I could gather I went to see anyone who could possibly advise me on what would be the best route to realise my dream. Banks, building societies, an architect, building contractors, a quantity surveyor…and I gathered information, a bulky folder full of it. That night, after supper, I sat down with all the collected information and I processed it. Much later that night (could have been early morning) I came to the conclusion that, if I could get R10 000 (that is South African Rands) for one week, I could build my house – but where would I get such an amount (quite a fair amount for those days!). I didn’t know anyone who could lend me that sort of money. I hadn’t got any security for a loan and, after all, financial institutions would be very reluctant to lend me money for a week only. Mulling over this problem I went to bed with absolutely no sign of sleep as my brain was running in overdrive. Then I went onto my knees and I prayed for God to give me R10 000 for a week. After finishing my prayer, calmness descended upon me and I peacefully fell asleep. I was employed by a university at that time and we had a spacious tearoom where most staff members went during a tea break. My boss and I however, chose to have our tea served by the secretary in his office so that we could discuss important matters like the weekend’s rugby scores, latest films and books or even sometimes the forthcoming faculty meeting – always in the office, never in the tearoom. That day (following my struggle the previous night) was no different – initially. Like every day, most people went to the tearoom, and we had our tea served in my boss’s office. By the way, at this stage it is important to mention that absolutely no-one knew about my R10 000 or the previous night’s struggle. I was just about to take a sip of tea, when my boss announced out of the blue that, for some reason he would like to have tea in the tearoom that day and he wanted me to join him because he didn’t want to go there on his own. For the first time in all my time working there, it so happened that we went to the tearoom to have tea. In the tearoom people sat around these low coffee tables scattered with magazines and newspapers, chatting and discussing the latest happenings. My boss engaged in a conversation with the professor next to him while I was stirring my (new) cup of tea, intensely absorbed in my thoughts, pondering on my R10 000. Opposite me a professor noticed my absence of mind. He wasn’t particularly well-known to me, I only knew him from greeting in the hallways. 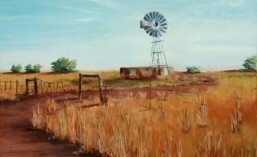 He commented that he could see my thoughts were miles from the tearoom which triggered the rest of the conversation: about my excursion the previous day, my tussle with all the information and finally my conclusion that R10 000 stood between me and my dream. For a moment I was speechless – a complete stranger offering me R10 000 without any security or guarantee, nothing. To cut a long story short, the next day he brought me the cheque, which I used to settle the outstanding balance on my loan for the plot which I could then use as security for a building-loan. The loan was approved within a week allowing me to make the first withdrawal: R10 000 to settle my dues with the professor (interest free!). I was owner-builder (a builder friend advised and assisted where necessary) and six months later my wife and I took up residence in our brand new house. For many years I contemplated why God had answered that particular prayer of mine so easily and so quickly – until, later in life, it dawned on me. I often prayed for – according to me – equally worthy issues, in just as righteous a way as the R10 000, often without apparent success. When old Satan then tried to delude me into believing prayer is a futile act, I could banish him by remembering how God, when I was a young man, indeed answered my prayer and gave me R10 000. God listens! I have proof. I also learned another valuable lesson from this episode. We often ask God to give us a house, for instance, but God has another way of working. He is keen to give it to you, but not just like that. No, you too have to do something. After doing a bit of research, though, and putting in some effort, God opened my eyes to bring me to the conclusion that, with borrowed R10 000, my dream could become a reality. Trust God with your dreams, but never expect Him to deprive you of the satisfaction of partaking in the accomplishment of them.